Sono-Tek Corporation (OTCQX: SOTK) is the leading developer and manufacturer of ultrasonic coating systems for applying precise, thin film coatings to protect, strengthen or smooth surfaces on parts and components for the microelectronics/electronics, alternative energy, medical, industrial and emerging research & development/other markets. 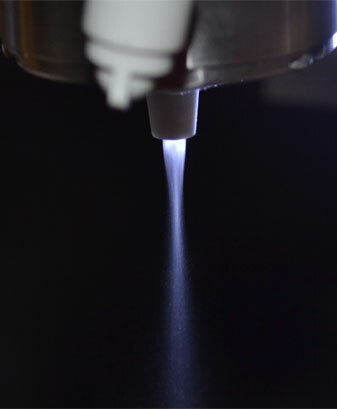 Our solutions are environmentally-friendly, efficient and highly reliable, and enable dramatic reductions in overspray, savings in raw material, water and energy usage and provide improved process repeatability, transfer efficiency, high uniformity and reduced emissions. Our growth strategy is focused on leveraging our innovative technologies, proprietary know-how, unique talent and experience, and global reach to further develop microscopic coating technologies that enable better outcomes for our customers’ products and processes. Our systems are used in this industry to apply micron layers of polymers and drugs including biomedical materials and anti-coagulants.